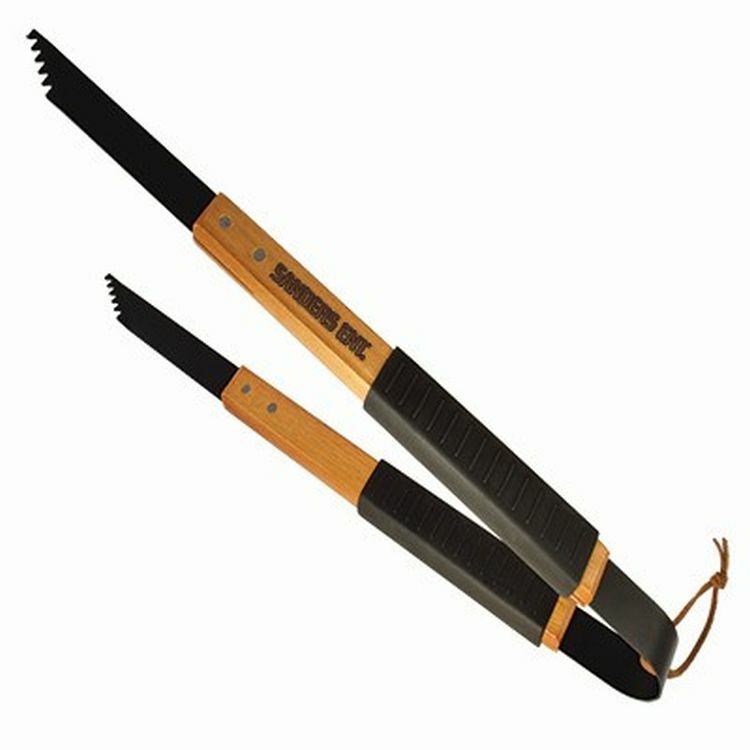 This wood BBQ tong is the match to our MI6090. These tongs are sturdy and long which means you keep away from the flames! Sure-Grip ends means just that! Never drop food again! Customize this promotional tool with an imprint of your company name and logo for maximum brand visibility. Measuring 18 3/4" L x 1 1/4" W, this imported product comes zip-tied with a protective cardboard sleeve. 18 3/4" x 1 1/4"
Available product color(s): Stainless Silver/Back Silicone. Imprint size: 2 1/2" x 5/8".